own sanity as a parent to know you can get them settled and have some quiet time of your own in the evening. consider changing their duvet or sheets for lighter or heavier ones to match the season. 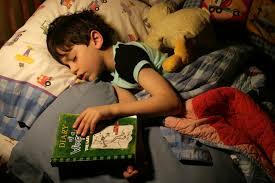 every night can also help kids form good sleeping habits. Avoid Too Much Excitement in the Evening! cartoon, or playing calmly can all help your child begin to feel ready for bed. that is suitable for the temperature in their room. time for them to go to sleep!